“What is truth?” It is a question I have asked myself many times over the past several years. Divisions in the church, which in turn, caused divisions between long-time friendships and among family, caused me to search eagerly for the answer to this question. It is the same question Pilate raised with Jesus: “What is truth?” Yet he handed Jesus over to be crucified. In my quest for the truth, I did not want to end up like Pilate, so I needed to know. Then one evening, during time in the Word through a devotional I was reading, these words jumped off the page: Truth is not found in a doctrine, in a denomination, nor in a book. Truth is found in one person. 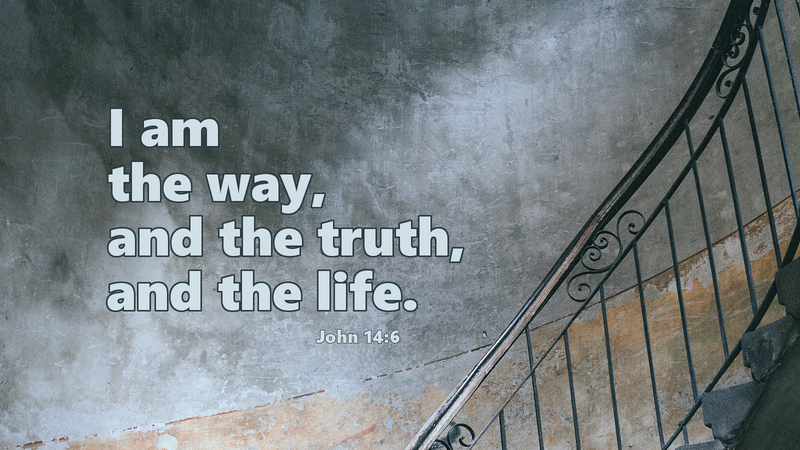 Jesus said, “I am the way, the truth, and the life.” This declaration comes from Jesus who began many of the things he said with, “I tell you the truth…” Other people may claim to know the truth, but the truth is, the truth is only found in Jesus, and everything he said can be backed up in His Word, the Scriptures. Once we discover this, “the way” becomes obvious and life bursts forth with what is seen and unseen. Prayer: Help us to hear, to know, and to testify to your truth, Lord, with our very lives as we seek to walk in your ways. Amen. Today’s devotion was written by Rev. Jennifer Gold, Director of Commission Expeditions in San Antonio, TX.